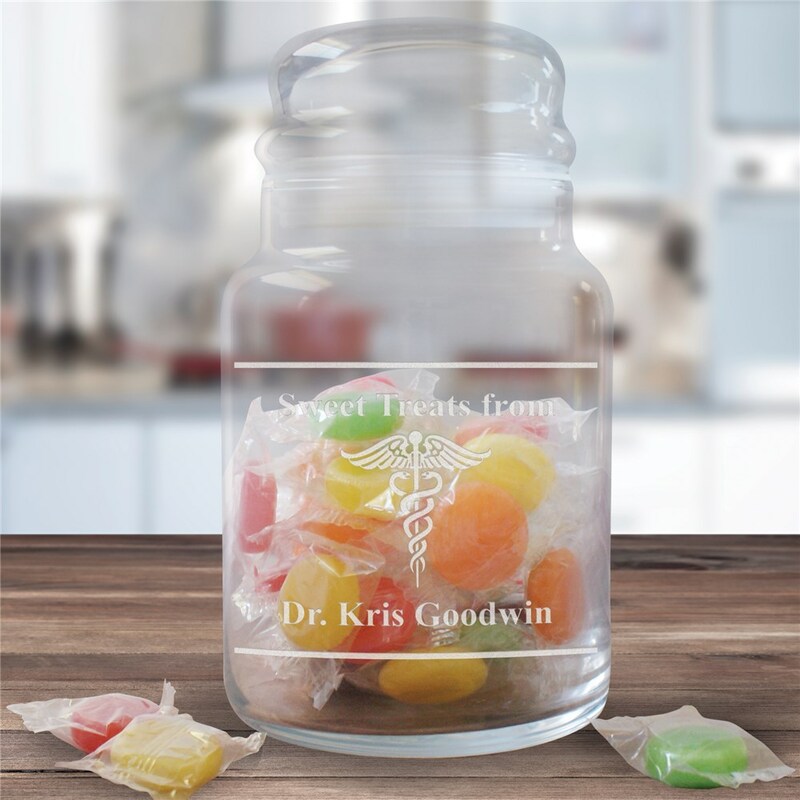 Provide your clients with sweets and little goodies with your own Personalized Doctor Treat Jar. This fun, Personalized Treat Jar also makes a wonderful, personalized gift for your favorite doctor as a thoughtful thank you gift. Very nice product and arrived so quickly! Additional Details GiftsForYouNow.com offers a wonderful array of Personalized Occupational Gifts perfect for your boss, co-worker, hair stylist and even your doctor. Shop with confidence at GiftsForYouNow.com.